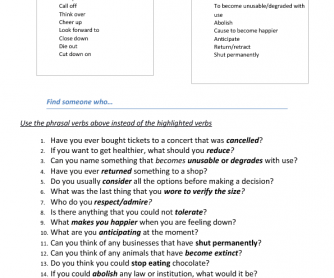 This exercise is about remembering phrasal verbs by associating them with their non-phrasal equivalents. 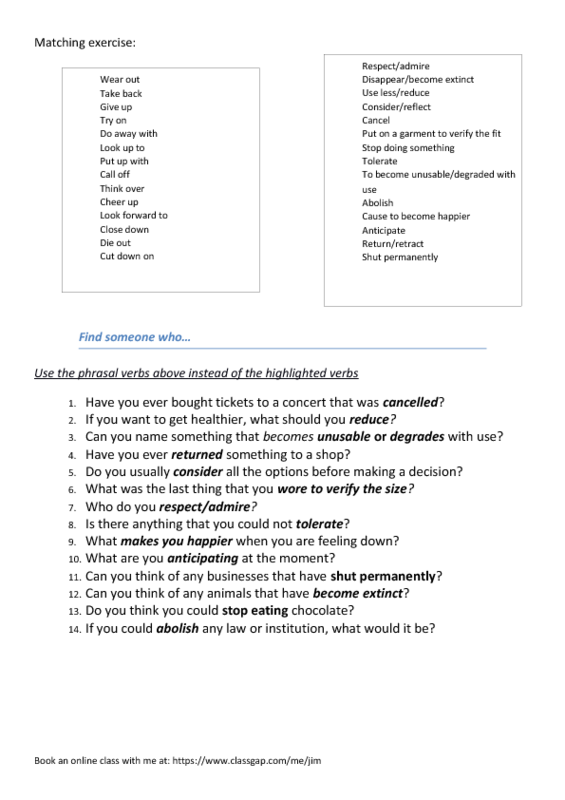 In the first part the students work in pairs to match the phrasals with their meanings. The answers can then be checked together and the paper folder in half horizontally so when the students complete the second exercise they cannot see the original answers. They then proceed to ask each other the questions while substituting the phrasal from memory. The teacher can get feedback about what the students have discovered.